Momma Pop Told Me: It's not the gift, but the thought that counts. I don't brag often, but my dad's kinda awesome. 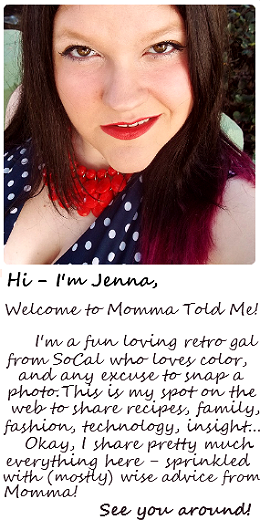 Yea, I know, the blog's called 'Momma Told Me,' because, let's face it, as a stay at home mother she told me A LOT. One thing Momma didn't say a lot was 'I love you.' 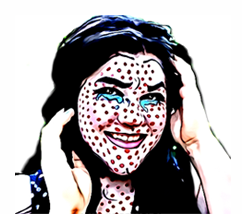 Touchy feely just wasn't her style and expressing emotions has always seemed hard for her. Sure, she gave me a world of advice, real, practical, life valuable advice. I wouldn't have half the head on my shoulders if it wasn't for Momma. But Pop, well, I don't think a day went by, growing up, where he didn't tell me he loved me. Saying words, in the end, are just words, but to this very day my father calls me up out of the blue, shoots me a text, and even a chat online to tell me that he loves me. In my opinion, people don't say that enough. My father was always the 'fun parent,' you know the type. "Wait till your father get's home," was said plenty in my household but never really proved effective. You see, my dad worked 5 days a week and often 10 hour days; he still works hard at his profession today. And when he had the chance to spend time with me, his daughter, it was one of the highlights of his week. How do I know that? Just look at the photos, you can see the love. Growing up I always took it for granted. When my parents got divorced I remained with my dad, but I was in the midst of those awkward teenage years. After graduation we drifted apart- I moved across country and distanced myself from the entire family. It wasn't an angsty sort of thing I was simply young and in love, too involved in my own little bubble of a world to pay mind to anyone else. And when the bubble popped and my young adult world came crashing down, my father welcomed me back with no questions asked. Our adult relationship is not the magical chocolate sundae, late night movies, fairytale tea parties of my childhood, but a whole new, even more valuable bond I could have never envisioned. My father has never judged me, never favored me, and I do not doubt, never stopped loving me for a single second. He is the standard for all men in my life, and a very formidable one at that. And I consider myself ever so lucky, for not every woman has such a figure in their lives. Father's Day is Sunday June 21st this year, and every June I am reminded to reflect upon many great father figures in my family as both my father and his father were also born in this month! Now, some daughters might get a little lazy and try to bundle their gifts all into one. Usually my dad's birthday is the week immediately preceding Father's Day, but this year it falls a little later in the month. The little cricket on my shoulder's telling me my dad deserves not one, but two awesome gifts this year, and Cabela's is kicking off the perfect sale just in time. Whether your dad is a hunter, master fisherman, boat captain, avid camper, or Grill Master Cabela's has chosen the hottest gifts and broken them into easy to shop categories. 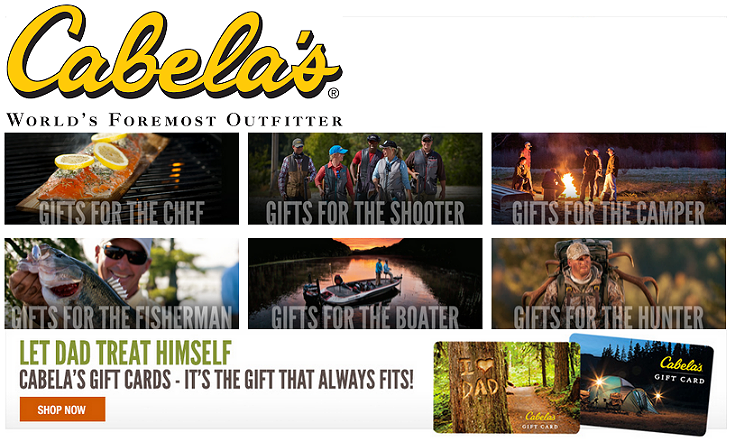 The Cabela's Father's Day Gift Guide highlights some amazing Father's Day deals on everything from rugged outdoor workwear to tactical appliances and outdoor sporting supplies. Since my own father has recently taken an interest in trail-seeking and bike riding with his steady lady friend I've been keeping an eye out for some outdoor gear that will make his new adventures more comfortable no matter the terrain. Cabela's Gifts For The Camper category features some promising gifts such as Merrel's Reflex Low Hikers boots and Cabela's XPG 10-Liter Backpack. Of course, Cabela's knows how to treat a grillmaster too! Online at Cabelas.com you'll find a plethora of smokers and grills to turn any backyard or campsite into a mobile BBQ pit. 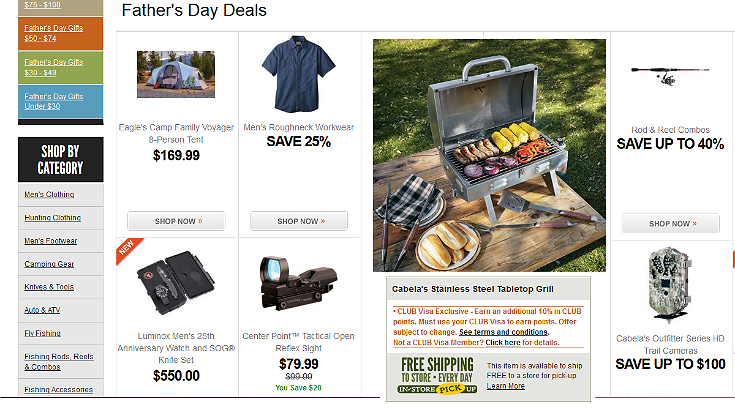 I've, personally, got my eye on the Cabela's Stainless Steel Tabletop Grill for my own dad. On sale for just $89.99 (from $129.99) this portable grill has a sleek stainless steel body and runs on easy to transport propane cylinders. It's the perfect little grill to bring down to the beach! Of course, if I was looking to bundle his birthday and Father's Day gifts this year I'd be going all out with Cabela's Magnum Pellet Grill featuring 850 sq feet of grilling area and a 175F to 500F cooking range. Without a doubt my dad would love to show this off in his backyard! If you're not quite sure what you'll be getting the dad in your life this Father's Day Cabela's even has gifts broken down by category. I guarantee there's a fun new toy perfect for gifting, and with easy shipping or pick up in store options, Cabela's will have your gift here in plenty of time. Head on over and take a look. Or you could go with a new tie for that tie rack you got him last year. Shop Cabela's Father's Day sale, save up to 50%, and be the cool wife/daughter/female of significance with something so awesome, they won't see it coming. Because the father in your life is uniquely awesome and they deserve a gift just as perfect. Check out Coupons.com for more great Father's Day deals! 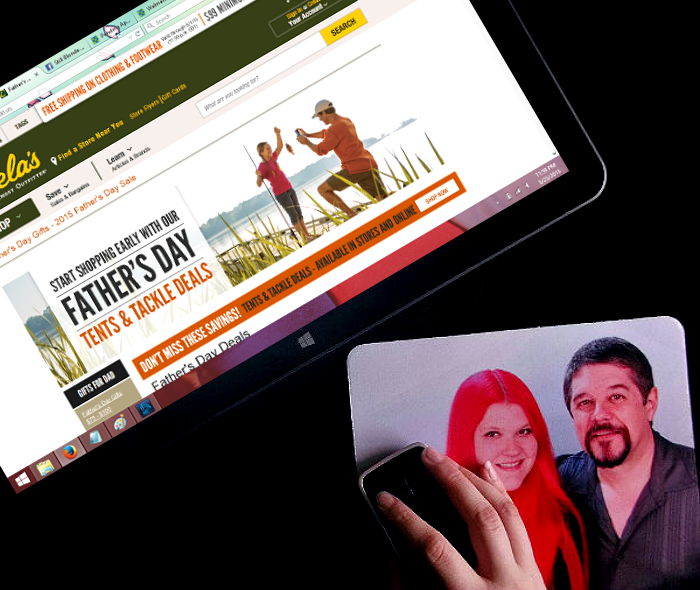 What would you get the father in your life from Cabela's Gifts for Dad Guide? 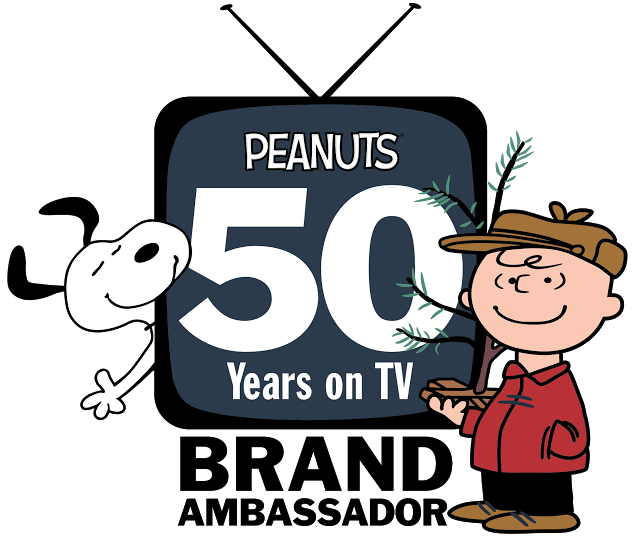 Psst: Great Father's Day sale starts June 4 through June 21, Father's Day. Also, don't miss Free Shipping on clothing & footwear - $49 min starting June 4. What Daughter Says: While I'm sure dad's advice came after receiving a melted macaroni art pencil holder, I disagree. 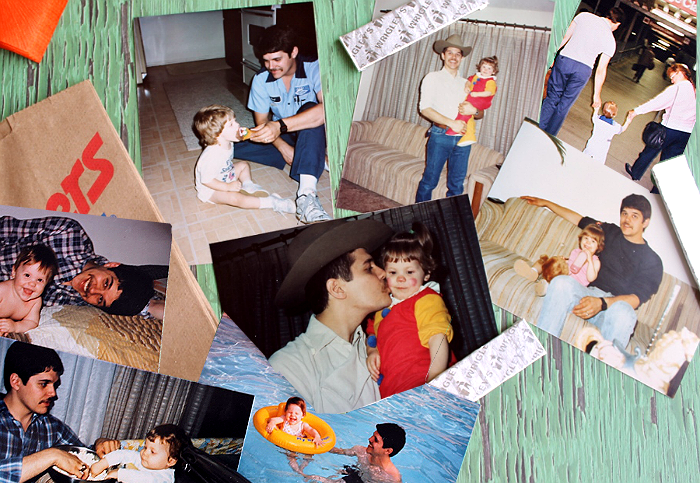 Awesome gifts are awesome and awesome dads deserve awesome gifts! To help inspire you to great gifts this Father's Day Cabela's is offering one winner a $300 gift card! Garmin 64s Bundle - because my kids and I love to go geocaching and this would take that to the next level! Your dad sounds amazing! You're a lucky lady!! And, what guy doesn't like Cabela's, btw? Regardless of how "outdoorsy" they are, they have LOTS of stuff that Dad will love. This is so great! My husband would love this. He'd be in the fishing section for hours. I loved reading about your dad. He seems like a great person! My husband loves outdoor equipment, so Cabela's is right up his alley. My amazing dad, an avid hunter would love a gift card from Cabelas. It's one of his favorite stores! Such a great story. So many neat fishing products at Cabelas! Cabela's is a great place for outdoorsy people! I know I could find something for my dad. I completely agree that Cabelas gift cards make the perfect gift for dads, my husband would love it! I never new my dad, But yours sounds amazing, Lucky lady! <3 My husband would love this though. He'd be in the fishing section for sure. What an awesome giveaway! We love Cabelas! Cabelas has pretty awesome stuff. I need to see what my husband would want from there for Father's Day. I am still thinking about what to get my Dad this year. I will have to check out Cabela's and see what i can find. I bet you can find some awesome gifts for any dad during this sale. Some outdoor cooking equipment would be sweet! 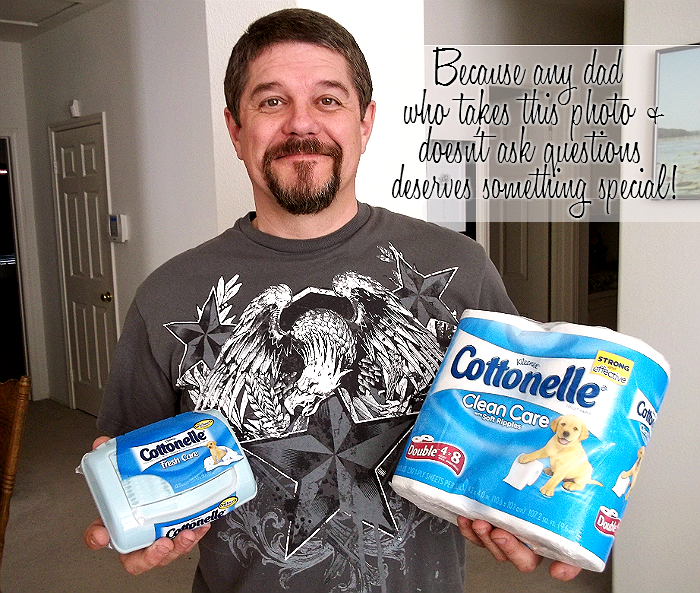 I seriously LOLed at the pic of your dad with the Cottonelle. He is so deserving of presents from Cabella's cuz he actually seems like an awesome dad. Aww, your Dad does seem super awesome! I know my Dad would enjoy any gift from Cabela's! Thanks for the giveaway! 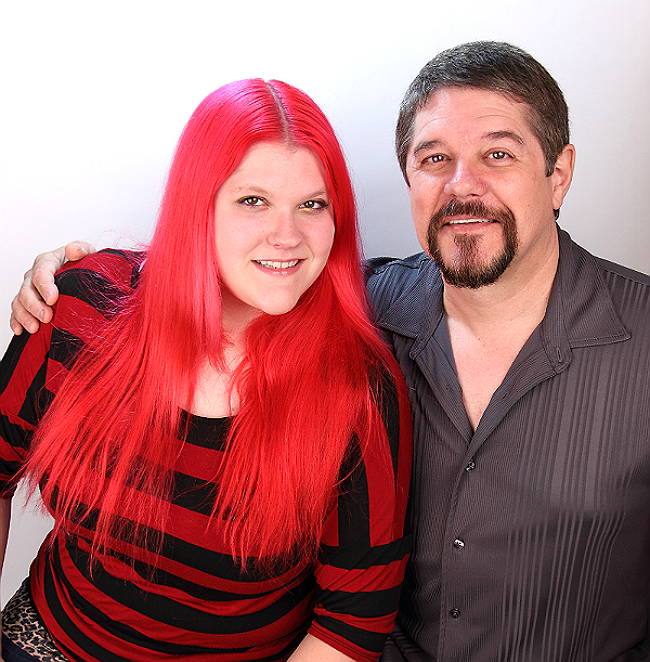 I love the photos of you and your dad! He seems like great guy! My guy is is a great dad too. We have 3 kiddos together and he also has 3 kids from his previous marriage. One thing we all doing together, is camping. And boy does Cabela's have tons of camping gear. I would love to get him the Coleman® Perfectflow Double Mantle Lantern. It would be perfect for this summer. Thanks! I think the Lodge Five-Piece Cast Iron Set and the Wild Game Steaks would be an awesome Father's Day present. Dad's like to cook. Cabelas seems to have a huge selection of items. Your contest winner will have so many items to select and enjoy. Masterbuilt Sportsman Elite Window Smoker because every man loves meat. I would love to get the Kärcher 1,800-PSI Pressure Washer for my husband. He has been saying he wants a pressure washer for awhile now. I would get my Dad the Daiwa Sealine X Trolling Combo because he loves to fish. One thing I might choose is the Rugged Outdoor Lay-Flat Lounger because he loves to relax and nap outside by the bay. This chair would be perfect. That's such an awesome idea. Found you via Mom lovin' Hop. 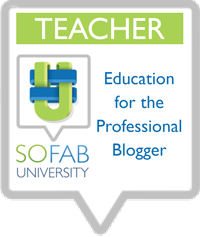 Going to follow along on Bloglovin'! We just got a new Cabelas -- haven't been there yet, but my husband is so excited! I will love to check them out when these can give awesome features.